Cristina Davies is a reporter and the weather anchor for the weekend editions of Action News AM Live. 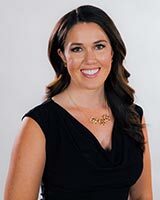 Before joining the ABC30 Action News Team in August 2017 she was a multimedia journalist and fill-in weather anchor for KRCR News Channel 7 in Redding, CA. During her time in Redding, she covered stories from wildfires and severe weather to the impacts new gun laws will have on Californians. Cristina graduated from the University of Nevada, Las Vegas with a bachelor's degree in Broadcast Journalism and a minor in Communication. After graduating UNLV she went on to Mississippi State University to get her second bachelor's degree in Geosciences. When Cristina is not working she loves to be out on the lake waterskiing and spending time with family and friends. If you have a story idea or want to say "hi" feel free to email her or message her on Facebook. Valley drivers are noticing the hike in prices. In just the last day, gas has gone up over three cents.